My beautiful wife Nini in downtown Nacogdoches. For our anniversary she received a massage, hair and makeup at Julia’s salon, while I was given this photo shoot! It was fun, my wife is awesome! If you're an awesome wife you deserve a Paul Bellinger portrait commission too! In this photo Nini is lit with one light, a beauty dish just out of the frame to the camera left. 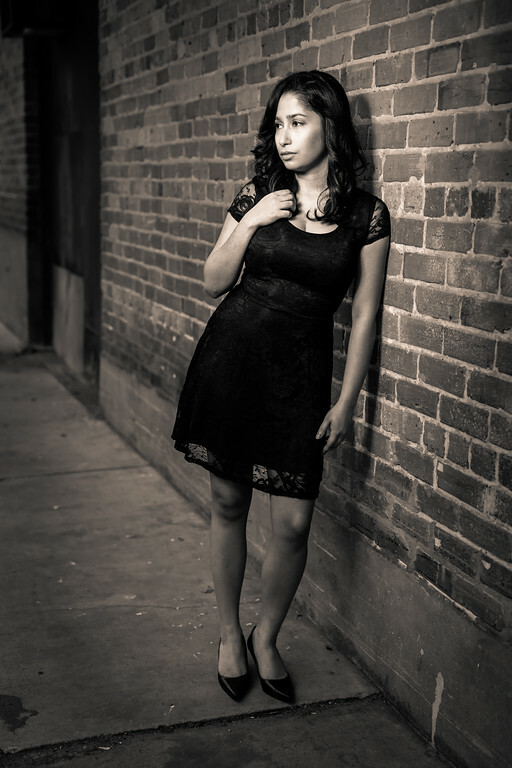 I like how the beauty dish looks on Nini, but I also like how it creates a natural vignette on the brick wall. Paul Bellinger Montana wedding photographer is available for Billings Montana portrait commissions. Paul Bellinger Montana wedding photography is available for any wedding destination in Montana or around the world.